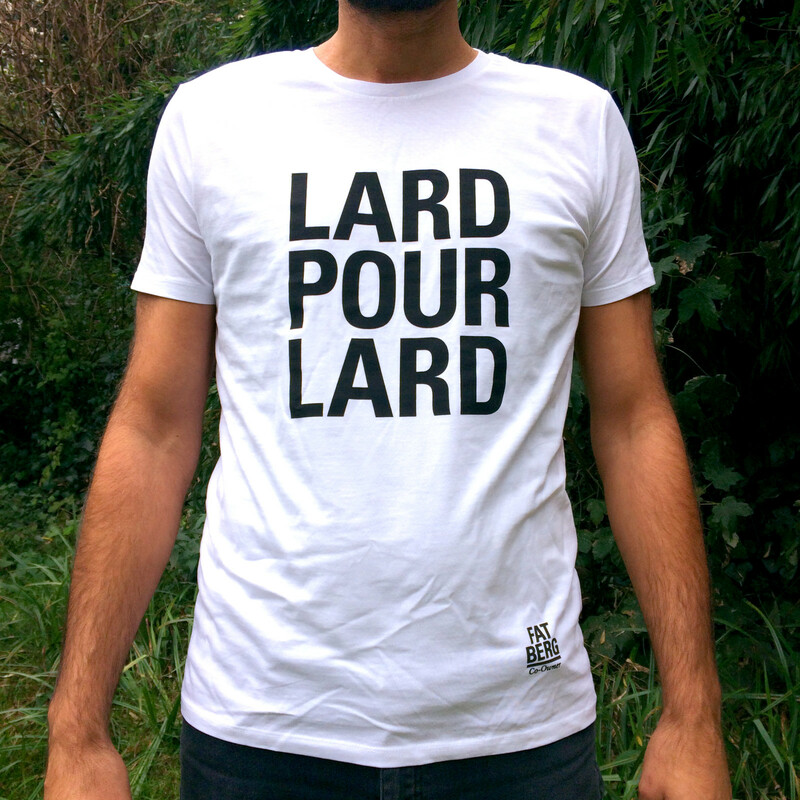 Our iconic Lard Pour Lard t-shirt is now on sale for the princely sum of €19.95 (€4.95 shipping within EU*). Screen-printed on premium quality 100% organic ring-spun combed cotton, our t-shirts are machine washable and available in XS, S, M, l, XL, and XXL sizes (check here for a guide to sizes). If you would like one, and to pledge support for the FATBERG, please drop us an email at info@fatberg.nl with “Lard Our Lard T-Shirt” as the title, including your name, address, t-shirt size and quantity. * For shipments outside of the EU, delivery costs and times may vary – please email for details.